Did you know that your brain feels sort of like a marshmallow? Ever wondered how much your brain weighs? Want to know how quickly your brain processes information? 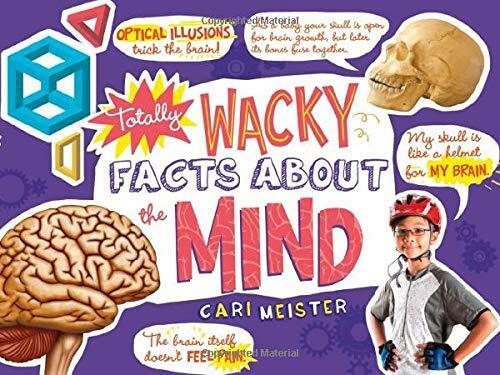 Totally amazing facts about the human mind will keep struggling and reluctant readers wanting more! Cari Meister has written more than a hundred books for children, including the "Tiny" series (Penguin) and the "Meet the Monsters" series (Stone Arch Books). She has received many awards for her books. Most recently, "Airplane Adventure" (Stone Arch Books), was named to "Parents" magazine Best Books for 2010. Cari has been fascinated by the night sky ever since she can remember. Her love of space and stars led her to Space Camp when she was growing up. Today, Cari lives in the mountains of Colorado, with her husband, four boys, two horses and one dog.